Play at home with your anarchist friends, but don’t get caught crossing out boxes. They might want to protect you from your gambling addiction. 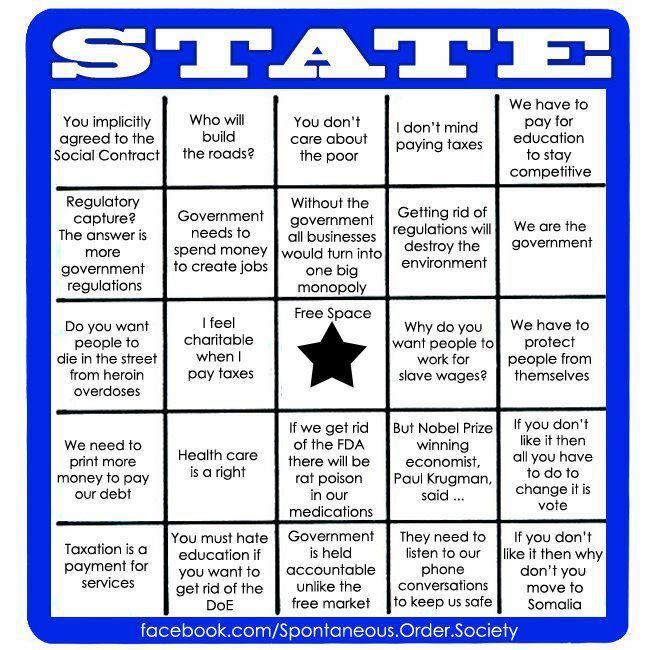 Since the state is not actually a thing that exists, it is a very accurate observation to define the state as an idea in someone’s (a statist’s) mind. This idea that a group should be given the permission to aggress and steal rests on a very low, unconscious or subconscious level. On top of this the statist layers simple euphemistic soundbites and bromides that have been studiously and relentlessly pounded into his head by other statists from childhood on.